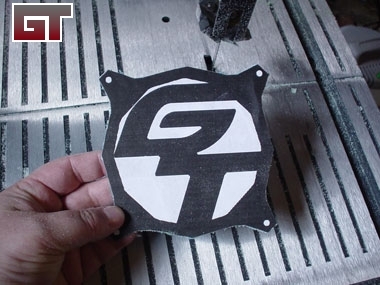 As I am going to get some fan grills professionally made in stainless steel or aluminum, I wanted to test some of the designs I was considering before placing an order using acrylic. 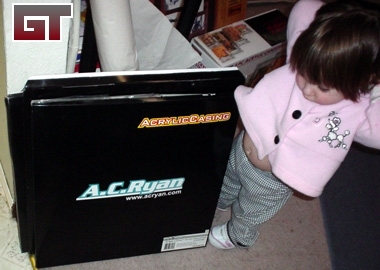 AC Ryan was kind enough to send me a few 450x450mm UV Green Acrylic sheets to work with, so that's what I'm going to be cutting the grills out of. 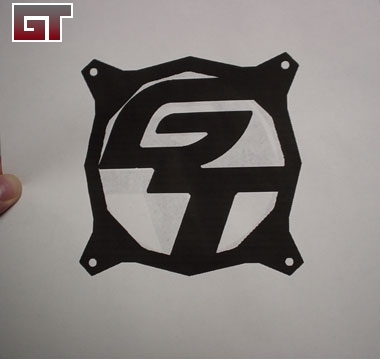 I do like the color, but feel it's best suited for nuclear or radioactive designs, so I grabbed an image off the net and copied the outline from AC Ryan's MeshX grill to use as a template. 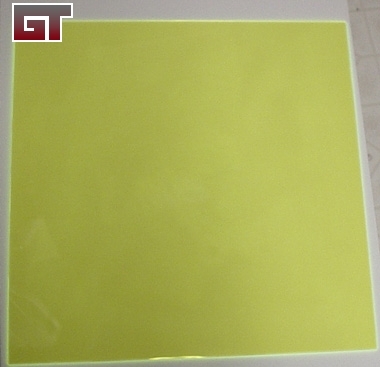 The below image is the untouched piece of acrylic and I will only shave off about 1/3 of the piece to make 3 fan grills. It came just like this, protected only by a plastic bag and the cardboard box shown below with my daughter, who thought she'd scored some more toys. Sorry, these are for me, hands off! 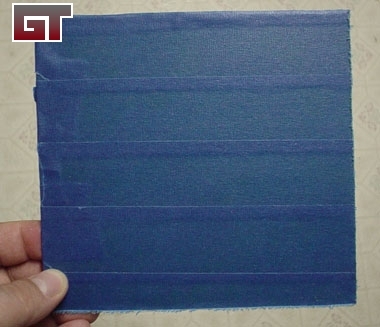 First, I covered the acrylic with painter's blue masking tape to minimize scratching. This is a large piece with about 1/2" to 1" of wasted space on the sides. You could cut it closer to save on materials, but I've left extra space just in case. The next step is to get the image you want to cut properly sized. 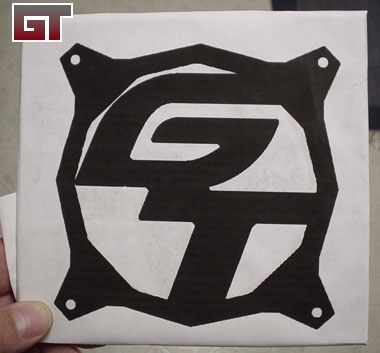 This is the runner up in the "Design a Gideontech Fan Grill" contest, printed at 76% so that it's exactly the 120mm that the fan grill requires. I made sure of the sizing by placing it against an existing 120mm fan grill and checking to see that the holes lined up. 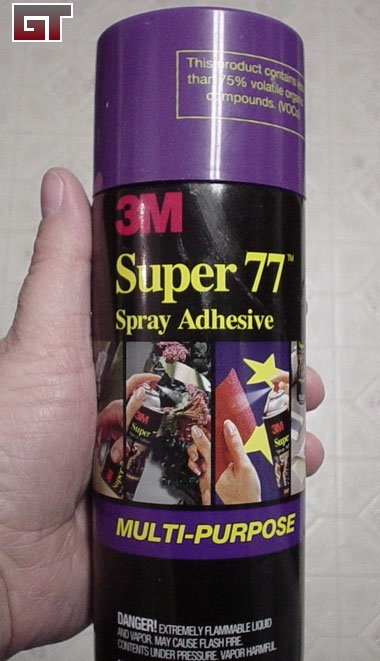 Super 77 Spray Glue was used to attach the image to the tape while I did the cutting. 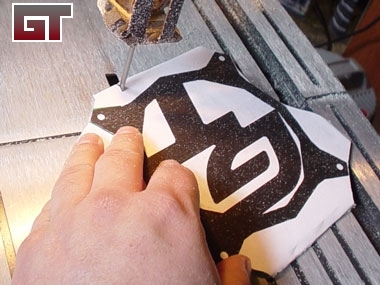 The glue will hold the image steady on the tape, but the tape can easily be removed from the acrylic without leaving a residue when the cutting is complete. Spray the back of the paper and make sure that the image is near the center of the blank. I also folded over the extra edges so that they don't get in the way when using the band saw. Time to head out to the workshop to cut the acrylic! The first stop is the band saw to cut out the outer edges. Remember to wear protective glasses, you wouldn't have to stop to go to the hospital and have UV Green acrylic removed from your eye(s). 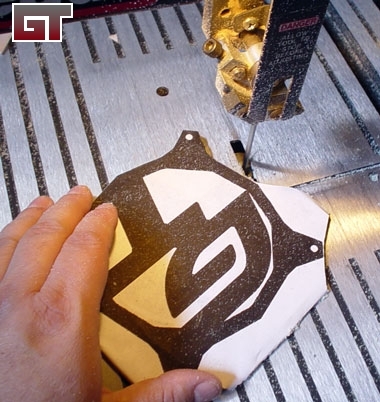 I started by getting the flat edges cut, and then a making a few curved passes to get close to the edges. I then started to make sure the tabs for the screw holes were cut out and as straight as I could get them. 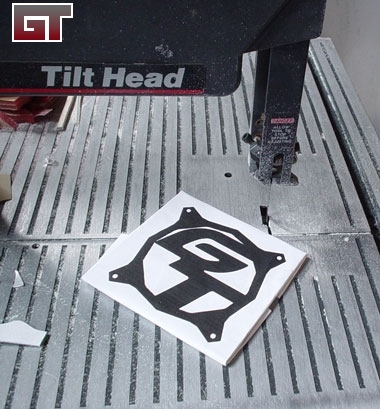 Square the last few edges off and finish cutting around the soon to be fan grill, and you'll be finished with the easy part of the cutting. Starting to look good!